Size of this preview: 565 × 600 pixels. Other resolutions: 226 × 240 pixels | 452 × 480 pixels | 723 × 768 pixels | 965 × 1,024 pixels | 1,447 × 1,536 pixels. 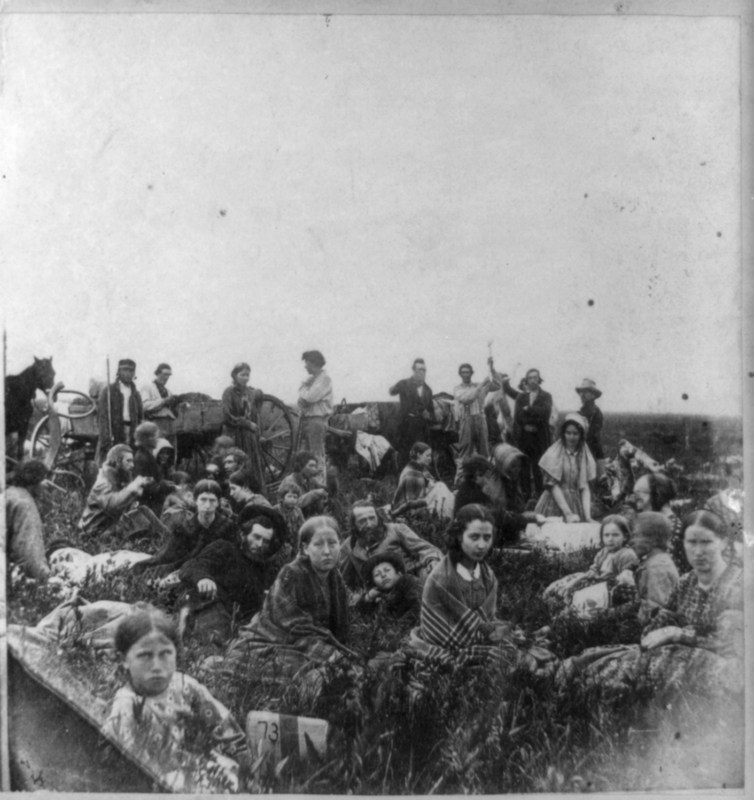 Title: "People escaping from the Indian massacre of 1862 in Minnesota, at dinner on a prairie"
Right half of stereograph published by Whitney's Gallery, St. Paul, Minn. This photo is actually Mixed Bloods who were rescued by non hostile Indians. The girl in the foreground wrapped in the striped blanket is Elise Robertson, the sister of Thomas Robertson a mixed blood who acted as a intermediary between the hostile and non hostile Indians and the whites.